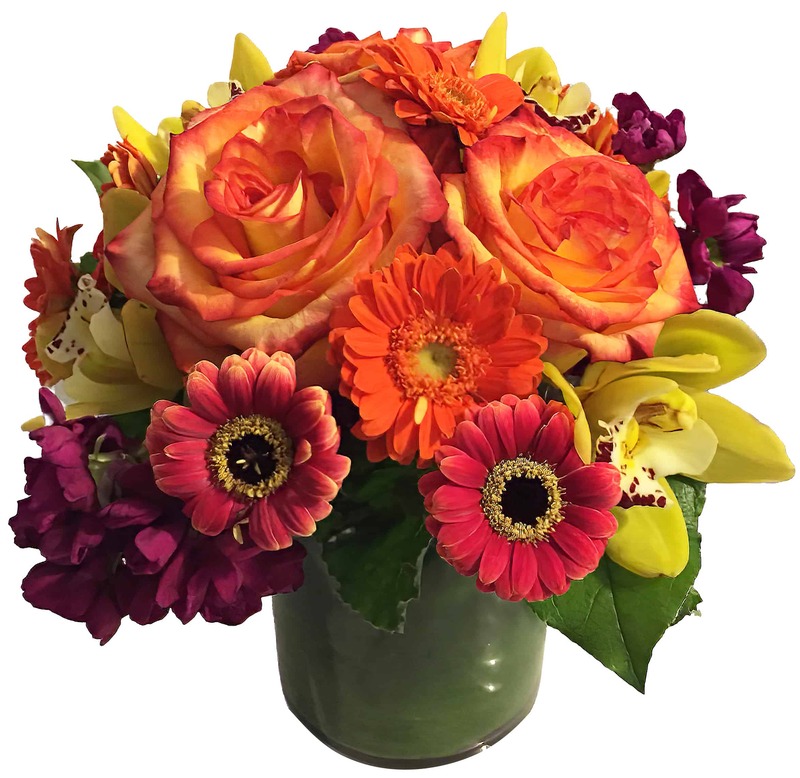 Rays of sunshine emanate from this beautiful arrangement of Gerbera Daisies and Imported Roses in bright yellows, oranges and pinks. It is rich with color and nicely contrasted with a square vase lined with our signature ti leaf. Send this fun arrangement to your friends as a birthday gift, a warm welcome for a new baby, or to congratulate someone on a new home!